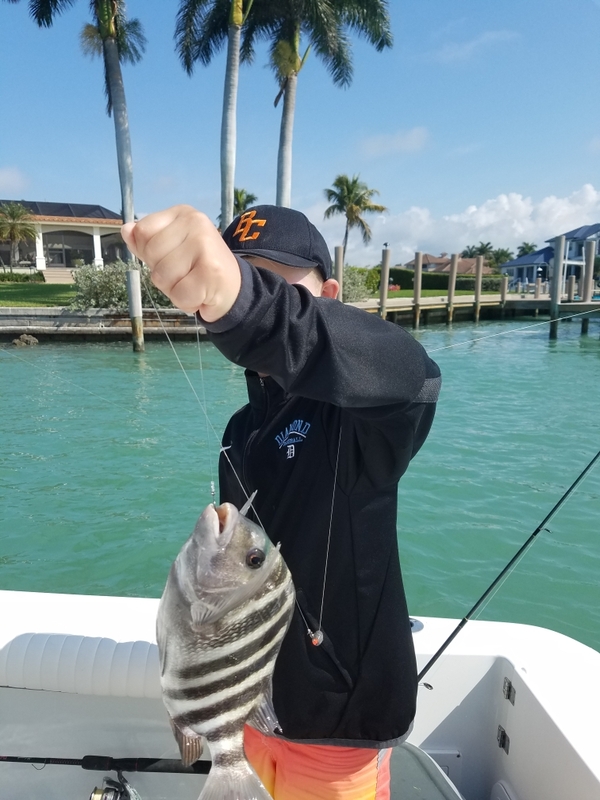 Serving Marco Island, Florida, for over 22 years, Pisces Charters (formerly Enterprise Charters) is a premier charter vessel that provides guests a great fishing experience, one charter at a time. Our boat’s size, comfort, amenities, and top quality fishing equipment, won’t disappoint. Our commitment is to provide guests with superior customer service and an unforgettable experience for the whole family. Our formula remains simple. One boat. One Captain. A great fishing experience, one charter at a time. Located on the Gulf of Mexico in Southwest Florida, Marco Island, the largest of the Ten Thousand Islands, is known for it's beaches, world class hotels and resorts, shopping, dinning and breathtaking sunsets. For 22 years, we've called Marco Island home and continue to welcome guests from all over the world to visit and explore our tropical paradise on one of our charters. We went out with captain Ken looking for a good fishing day and he exceeded our expectations! Great guy that knows what he is doing. He put us on many fish at different places. Overall great day. "The captains put us on the fish, and made this a great experience in every way. They patiently taught us the best techniques for catching mackerel. First rate charter! I am looking forward to booking again on the next trip to Marco Island." "It was the best day of fishing I have experienced from variety of species and size. I have fished since I was a kid off the Jersey shore as well as Florida Keys, but this was the most exciting action... I will definitely fish the Enterprise again in the future!"